Okay, it's just the beginning of the year and DJ YRS Jerzy has decided to drop a new mixtape on us hosted by Q The Question and it is craaaaazy! Co-CEO of SKE Records and entertainment publicist/journalist Q The Question is building his brand day by day. 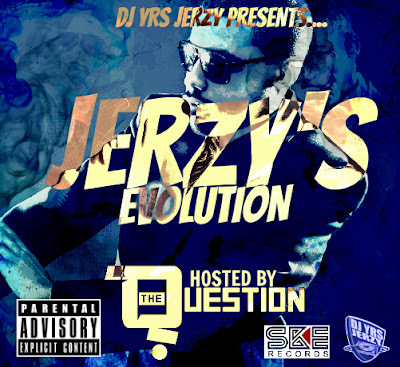 Linking up with one of the hottest DJ's - DJ YRS Jerzy hosting his new mixtape - "Jerzy's Evolution" as part of Jerzy's mixtape series features different heavy independent artists including up and coming star - Trel Mack and two of my favourites right now - Chox Mak and Tim Stacks. Benjamin Bubby - Young S.B.